Martti Ahtisaari is a former UN diplomat, a Finnish statesman and a renowned peace mediator in international conflicts. Upon leaving office of President of Finland, he founded the Crisis Management Initiative in 2000. In 2008 he was awarded the Nobel Peace Prize for his leading role in bringing independence to Namibia, Serbia’s withdrawal from Kosovo, and autonomy for Aceh in Indonesia. Former President of Finland Martti Ahtisaari is the founder of CMI. He has played a leading role in peace deals in several parts of the world. In 2000, Ahtisaari declined the offer of the then-Secretary General of the United Nations, Kofi Annan, of the post of Secretary General of the UN High Commission for Refugees. Ahtisaari felt he could make a greater contribution to peacemaking by directly tackling the root causes of conflicts. To this end, that same year he established the Crisis Management Initiative, the aim of which was to help the international community to engage in preventive diplomacy and peacebuilding. Since then, CMI has grown to become one of the leading specialists in conflict prevention and resolution. and over more than three decades, to resolve international conflicts”. 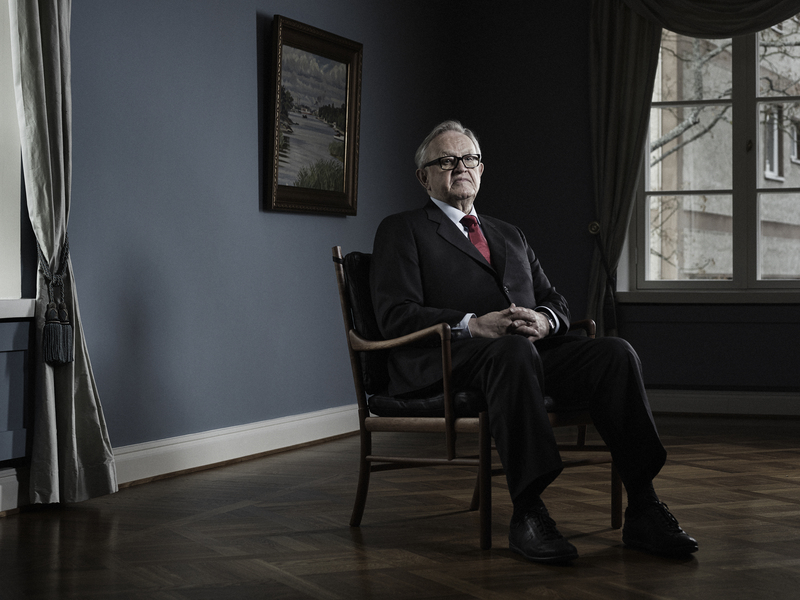 Although a wholehearted global citizen, Ahtisaari is far from being a rootless cosmopolitan. The Finnish and Nordic model of social justice remains of crucial importance to his thinking, and he is an ardent believer and proponent of the Nordic welfare state model as an inspiration for others throughout the world. in Finnish in 2011 under the title Matkalla, and in English in 2015 as The Mediator by Hurst Publishers. 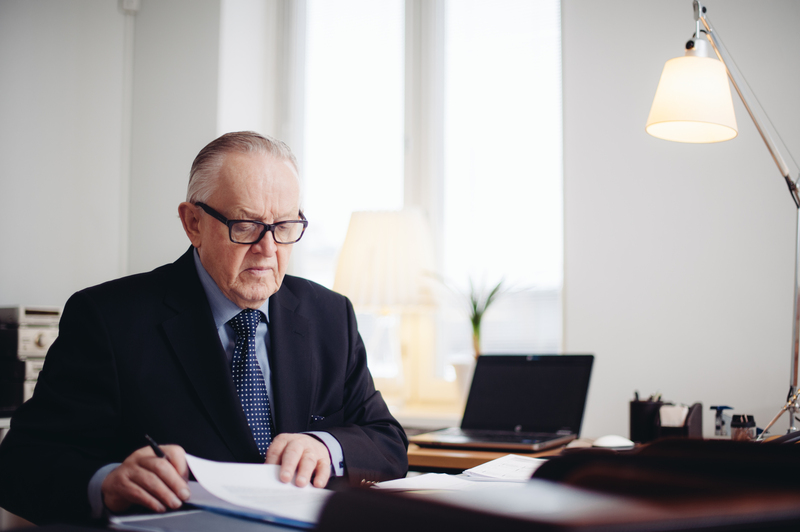 President Ahtisaari has his personal office in the CMI headquarters in Helsinki. The Ahtisaari staff support all his individual tasks and commitments, and the office works closely with CMI and the other organisations with which he is involved. 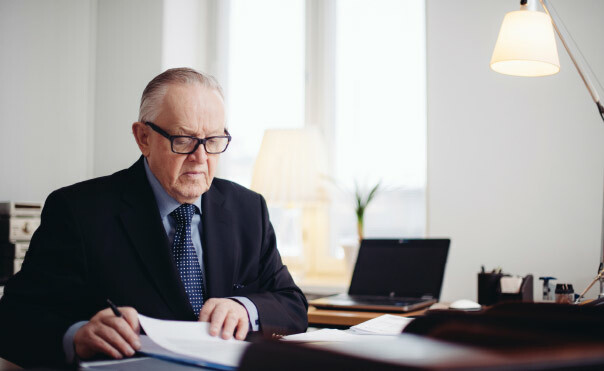 After a distinguished career in the United Nations and the Finnish Foreign Ministry, Martti Ahtisaari was elected President of the Republic of Finland in 1994. He held office until early 2000. 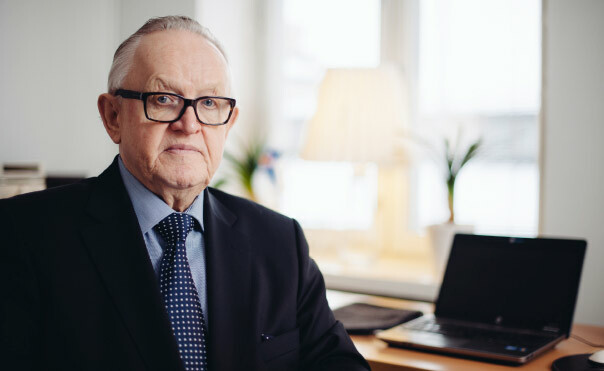 In 2000, Martti Ahtisaari founded Crisis Management Initiative (CMI), a non-governmental organisation, to continue his legacy in conflict resolution. 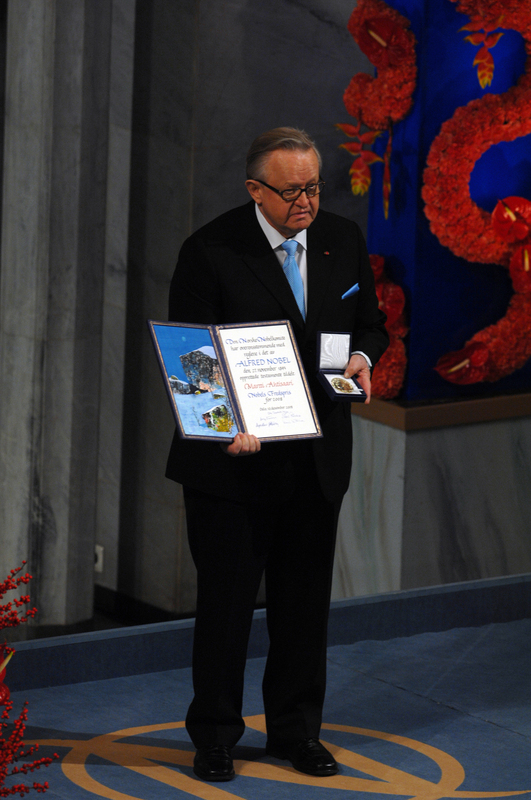 For his life’s work Ahtisaari was awarded the Nobel Peace Prize in 2008. Upon leaving office in 2000, Ahtisaari has served in a variety of key international roles, including facilitating the peace process between the Government of Indonesia and the Free Aceh Movement, chairing an independent panel on the security and safety of UN personnel in Iraq, and appointments as UN Special Envoy for the Horn of Africa and as Personal Envoy of the OSCE CiO for Central Asia. Between 2005 and 2008, Ahtisaari was Special Envoy of the Secretary-General of the United Nations for the future status process for Kosovo. President Ahtisaari is active in numerous non-governmental capacities. He is Chairman of the Independent Commission on Turkey. He is also a member of the Elders, an independent group of global leaders working for peace and human rights, and a member of the Prize Committee of the Mo Ibrahim Foundation. Martti Ahtisaari is married to Eeva Ahtisaari. They have a son. Mr. Ahtisaari was elected President of the Republic of Finland in February 1994. He held office from the 1st of March 1994 to the 29th of February 2000. 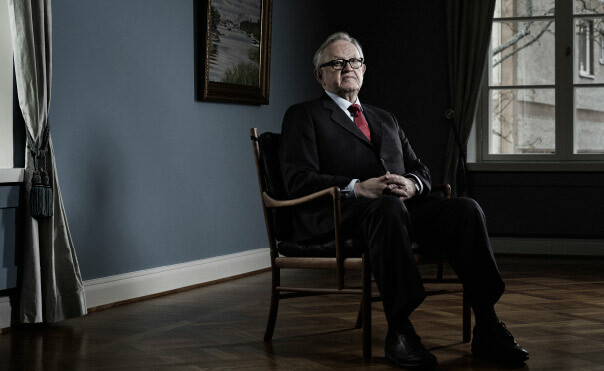 Soon after leaving office Mr. Ahtisaari founded the Crisis Management Initiative (CMI). In 2005 Ahtisaari and CMI facilitated the peace process between the Government of Indonesia and the Free Aceh Movement. Between 14 November 2005 and 29 February 2008 Ahtisaari was Special Envoy to the Secretary-General of the United Nations for the future status process for Kosovo. 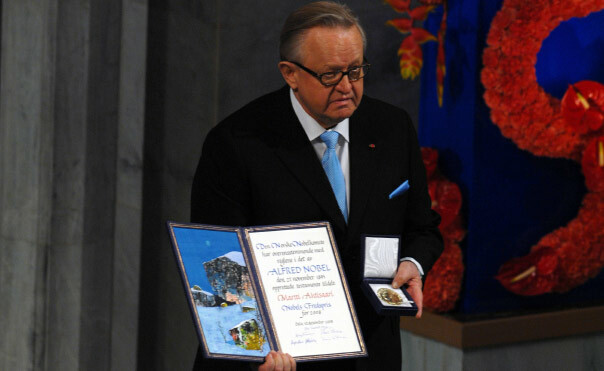 Martti Ahtisaari was awarded the Nobel Peace Prize in 2008.
former Prime-Minister of Russia Victor Chernomyrdin, and US Deputy Secretary of State Strobe Talbott facilitated together the withdrawal of the Yugoslav/Serbian military and security forces from Kosovo and the establishment there of an international security and civil presence. Upon completion of his one term in office as President of Finland, Martti Ahtisaari founded the Crisis Management Initiative, an NGO dedicated to conflict resolution, crisis management and peace mediation. These have been Mr. Ahtisaari’s major priorities since 2000.
of Understanding, thereby ending three decades of conflict in Aceh. Mr. Ahtisaari graduated from the University of Oulu in 1959 and received an Honorary Doctorate (Pedagogy) from the University in 1989. He holds many Honorary Doctorates from a variety of fields and countries. 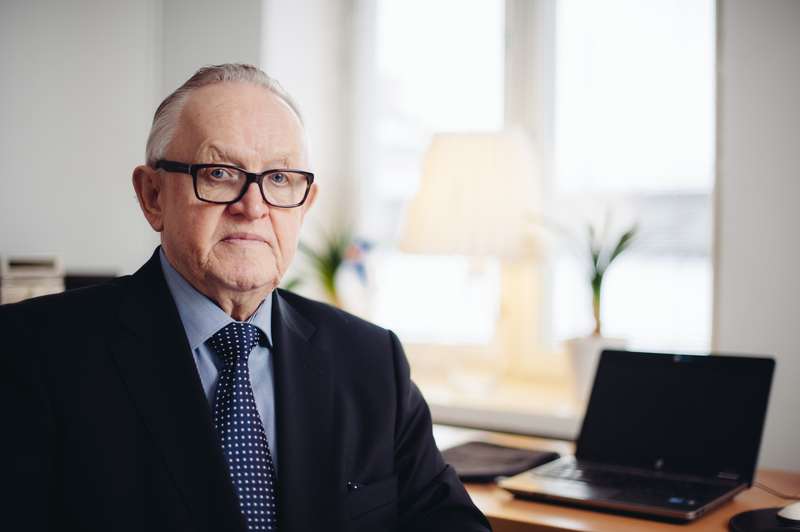 Press photos of President Martti Ahtisaari (2015).